Christmas is such a magical time of year for everyone but especially for preschoolers. 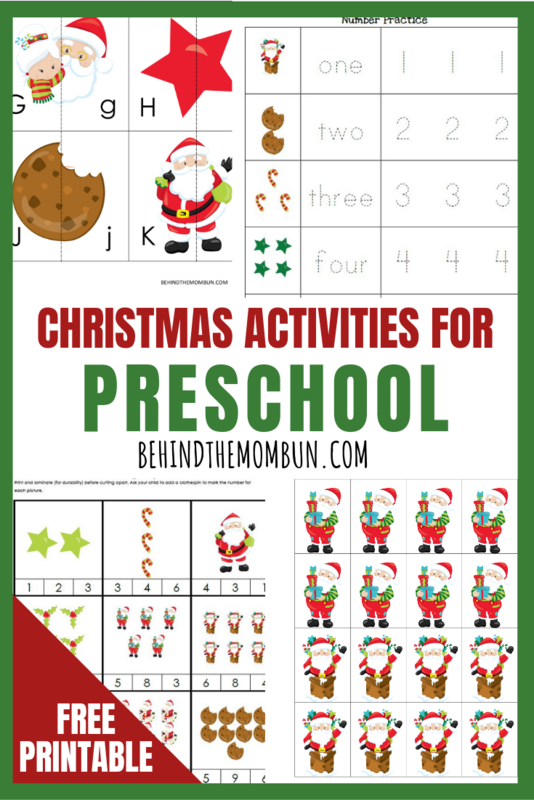 Have fun practicing those writing and cutting skills with the Christmas preschool printable pack. This Christmas preschool printable pack is solely owned by Behind the Mom Bun. You may not sell or share this file in any way. Personal use only. You may NOT distribute these PDF’s, and printables to others, including reselling, relicensing, redistributing, giving for free, or as part of a giveaway. Personal use only. Printables are an instant digital download. Any sale is for a limited time only and may change at any time. Due to the nature of this digital item, all sales are final. No refunds.